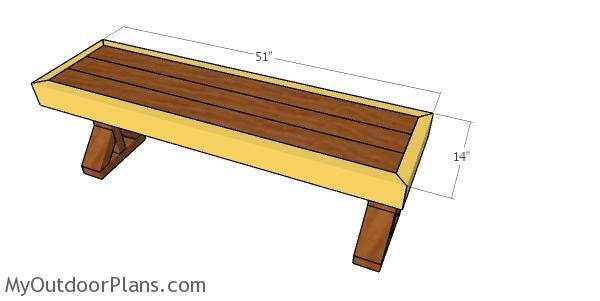 This step by step diy project is about 2×4 deck bench plans. 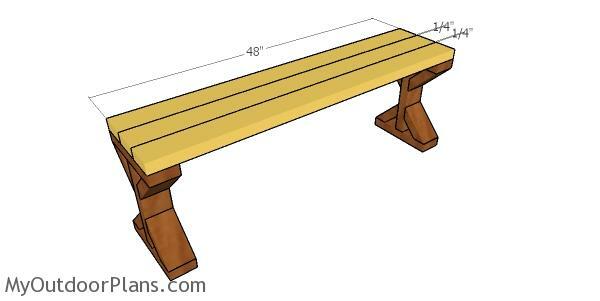 I have designed this simple deck bench so you can build one from just 2x4s. 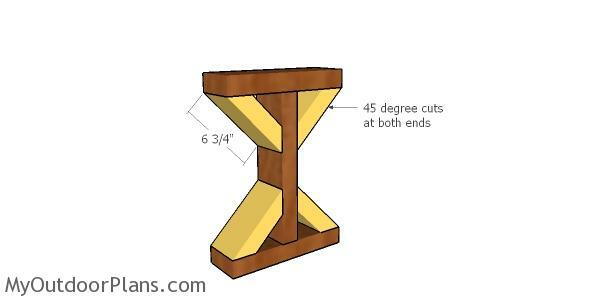 This deck bench with x shaped legs is sturdy, easy to build and the materials won’t be costly. Make sure you read the local codes, so you comply with the regulations. The first step of the project is to build the frame of the legs. 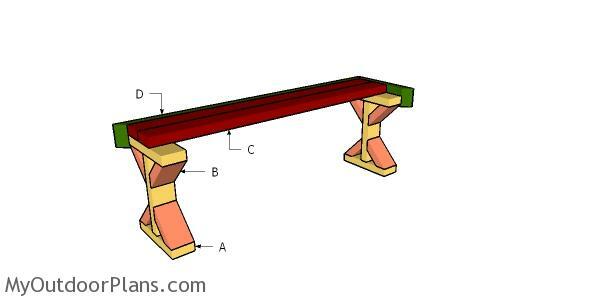 Therefore, use 2×4 lumber for the components, as shown in the diagram. Drill pilot holes through the plates and insert 2 1/2″ screws into the vertical post. Make sure the corners are right angled. Use a miter saw to make 45 degree cuts at both ends of the braces. Fit the braces to the legs and then lock them into place with 2 1/2″ screws. 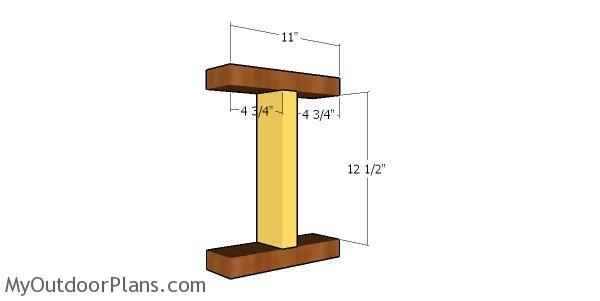 Attach 2×4 slats to the top of the legs. 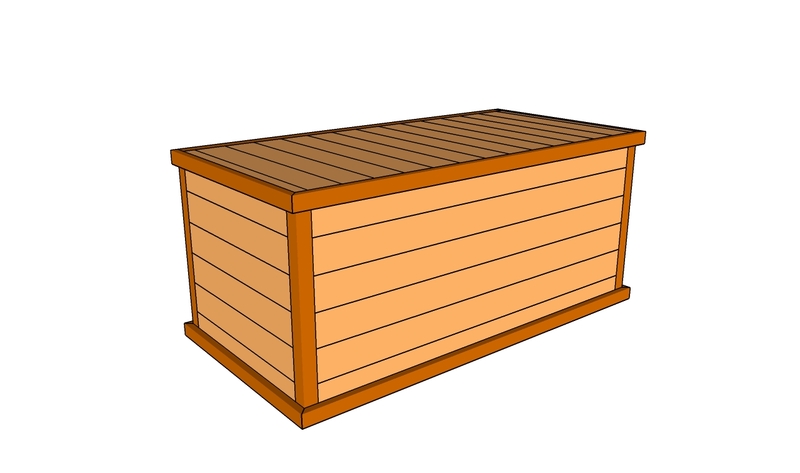 Make sure the edges are aligned and leave 1/4″ between the slats. Drill pilot holes through the slats and insert 2 1/2″ screws to secure them into place. Fill the holes with wood putty and then smooth the surface with 120-220 grit sandpaper. 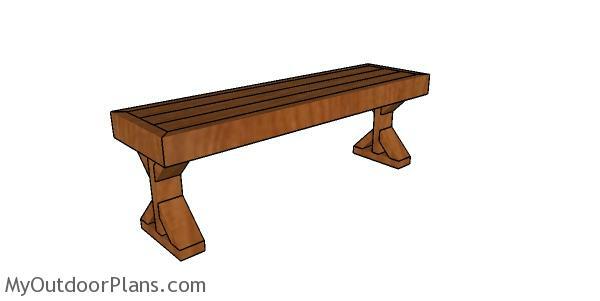 Apply a few coats of paint or stain to enhance the look of the bench. 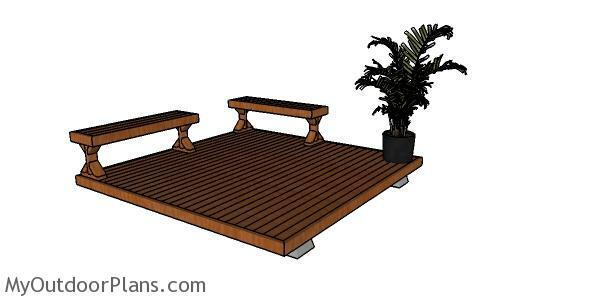 You can fit deck benches to this project, so make sure you take a look over the plans HERE. You can add railings, deck planters or other elements. In addition, I recommend you to check my 2×4 deck plans HERE. 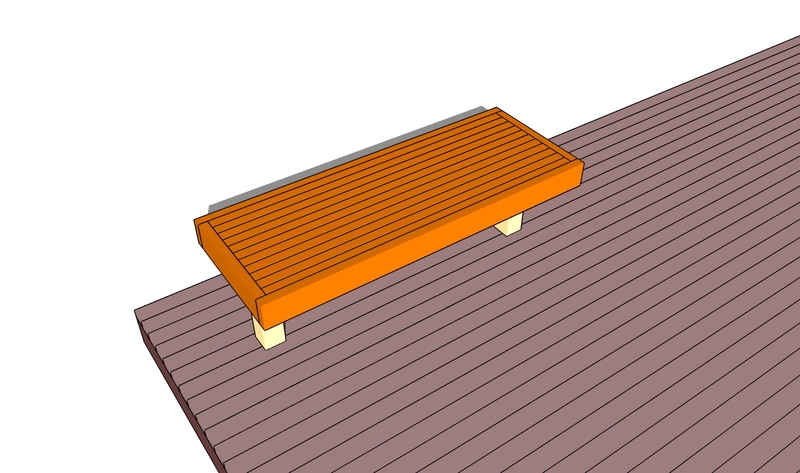 This project was about 2×4 deck bench plans. If you want to see more outdoor plans, we recommend you to check out the rest of the projects. Don’t forget to share our projects with your friends, by using the social media widgets.